Aman: And so it comes to a close. One month ago, on the 14th of June, hosts Russia thumped Saudi Arabia 5-0, and so it began. Now, one month later, we as a sporting fanbase have been sent for an absolute rollercoaster ride. We are onto the final match now. 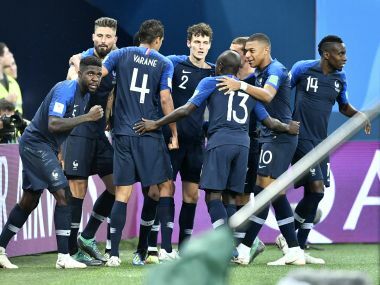 France have proved much since their uninspired group stage showing, with Kylian Mbappe emerging as one of the most explosive young players in world football, along with one of the youngest teams in this tournament showing flair, excitement, and even the grip and grin of a seasoned championship side. Croatia, on the other hand, after a stunning group stage performance, have been driven to extra time in each of their three knockout games since, two of which went to penalties; hardly decisive. Despite that, Croatia, led by the illustrious Luka Modric, find themselves on the cusp of the greatest dark horse story of any World Cup. Can the Croatian golden generation out-discipline this young and energetic French side to become a new country to win a World Cup? As a neutral fan, who has never enjoyed an international tournament half as much as this one, with it’s pulsating and dramatic football, minute to minute without exception, I think I can safely speak for all fans of the sport when I pray for nothing less than a breathless, energetic and passionate display, as the footballing world holds it’s breath. This rollercoaster ride is, most, unfortunately, almost over.